Pablo Tomek, or only Tomek, is a French contemporary artist known for his astonishing handstyle and his commitment to the graffiti culture. He is a member of the infamous Parisian collective Peace and Love (PAL). The young French artist grew up in the Western suburbs of France’s capital, where he was inspired by the graffiti tags on shop fronts, trucks, walls and train sidings to develop his own personal style that he then took to the streets of Paris. Tomek and the other member of the PAL crew came from a classic perspective of graffiti art where they have all learned to respect the original style so they could later break the rules to add their own novel twist to street art. Although Tomek’s pieces produced on the streets and in the atelier inform each other, he is among those street artist who are careful not to move to the studio work by simply replicating on canvas his street art. Tomek, being of opinion that there is no place for classic graffiti in a gallery where it loses its essential meaning from being on the street, has developed his unique approach to presenting abstracted views of his tagging on glass. 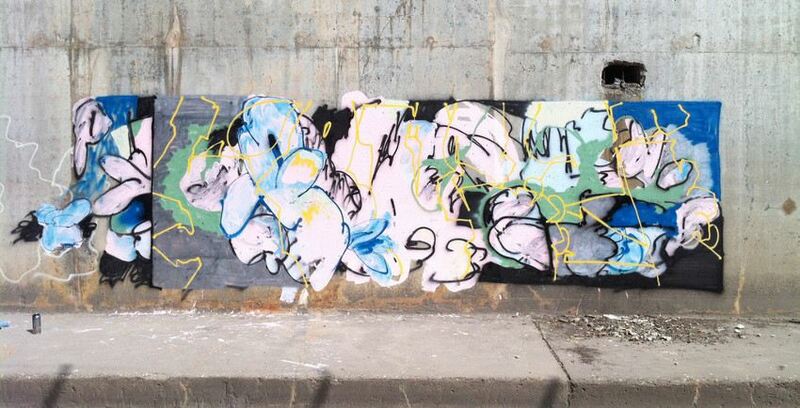 He quests the paradox that exits between graffiti tagging and abstract painting, focusing on the shape and composition of the letters but not the legibility of the words creating impressive paintings that capture the vein of the artist’s hand. In a brief period of time, Tomek achieved international fame in both the graffiti scene and art scene. 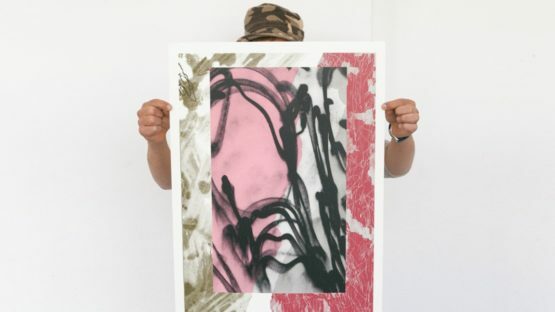 He presented his pieces at group show Croisement with Jeroen Erosie and Graphic Surgery at Paris based Galerie Celal in March 2014, and in the collective show of Agnes B titled État Des Lieux in Galerie Du Jour in Septembre 2013. His debut solo show, titled Accident, was presented at the Galerie Celal in March 2015. 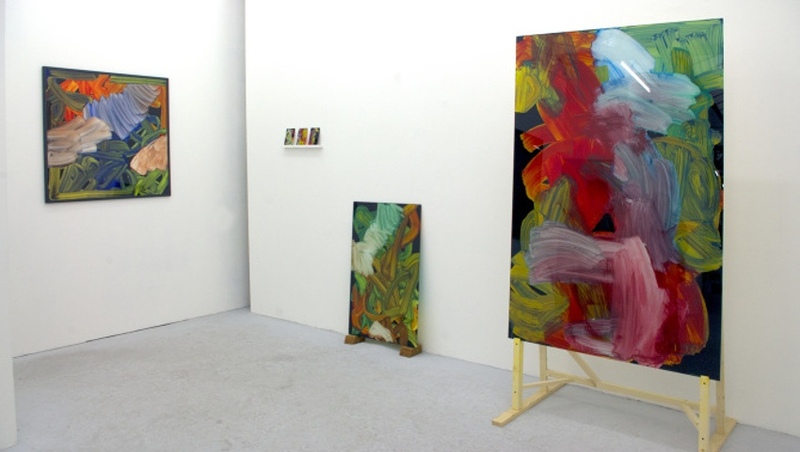 His second individual exhibition was Possibilities at Opperclaes gallery in Rotteram. Tomek is represented by Galerie Celal. Pablo Tomek lives and works in Paris.